Martha writes to Mrs. Price that she is sending her pension from yesterday and talks about how she is glad her mother is in Knoxville believing the change will do her good. Martha also writes about other updates regarding the estate. 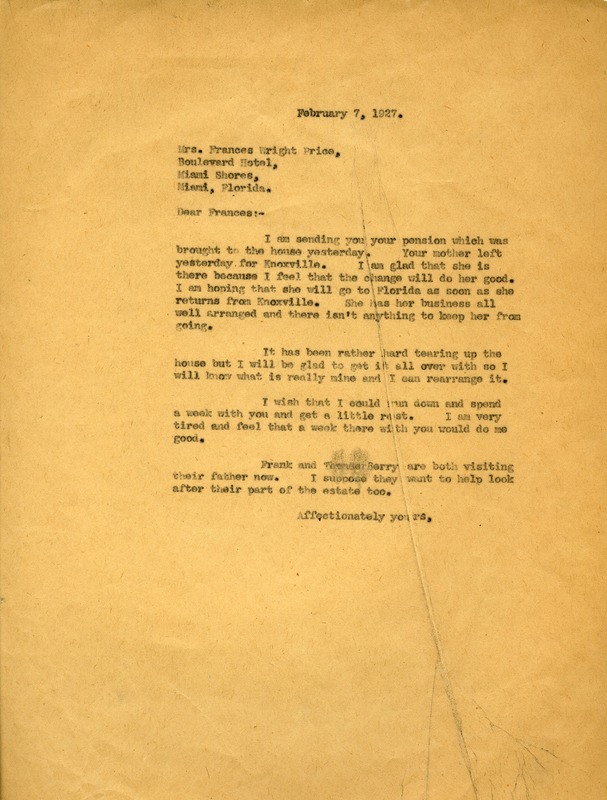 Miss Martha Berry, “Letter to Frances Price from Martha Berry.” Martha Berry Digital Archive. Eds. Schlitz, Stephanie A., Aaron Jackson, et al. Mount Berry: Berry College, 2012. accessed April 20, 2019, https://mbda.berry.edu/items/show/5378.